Back in the 1970s, Leeds liked to think of itself as a modern sort of place, and was keen to show off its transport plans. For a time, the slogan "Motorway City of the Seventies" was stamped on outgoing mail as the city's postmark. Part of its big plans were for two approach motorways from the south which would merge and continue around the east side of the city centre to meet the Inner Ring Road. 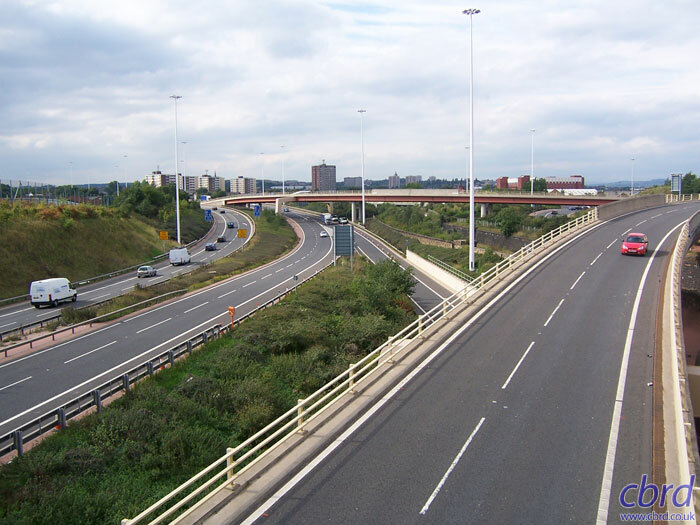 By the late seventies, the two southern approaches were complete: the M1 South East Urban Motorway and the M621 South West Urban Motorway. 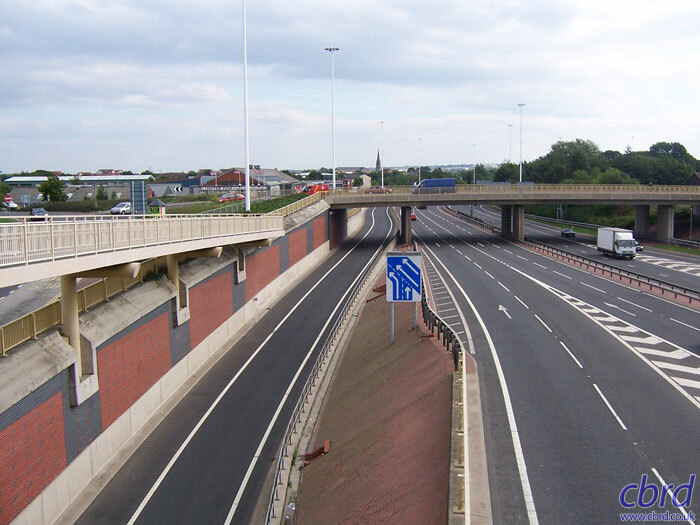 The final connection — the North East Urban Motorway — was never built, and in the late 1990s the unfinished ends were tidied up into a permanent terminus. For the first time the two motorways were linked to form a through route, and the whole lot became M621. The result is quite unique: a vast, free-flowing interchange where almost all traffic exits the M621 and heads for the city centre. For all practical purposes, it's still the terminus of two motorways, and it's unusual to see a brand new junction on this scale in an urban environment. Leaving the city by Meadow Road, the second large gyratory is where the A653 meets the M621. Three lanes of traffic turn the corner and prepare to divide. 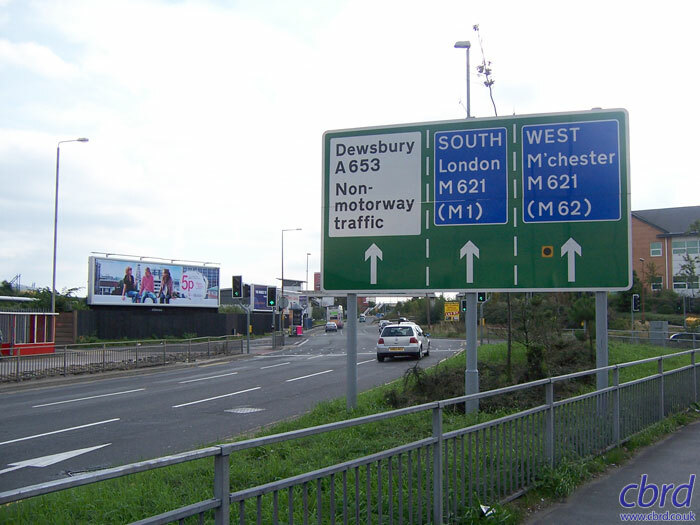 Gantry signs just before the split date from before the junction's redevelopment and the motorway's redesignation to M621. 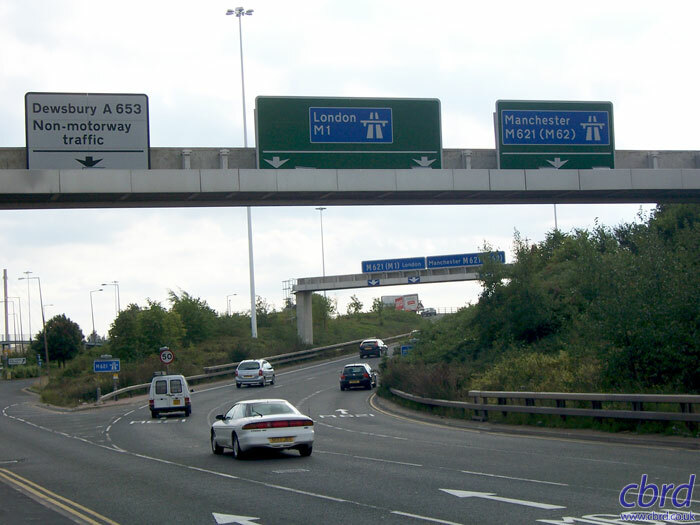 The sign in the middle still thinks the M1 connects to the junction. The lanes bound for the motorway network climb steeply and split. The ones to the left head towards the M1, dropping quite suddenly after the brow of the hill, while the ones to the right continue on a high viaduct to pass over the top of the motorway towards the M62. 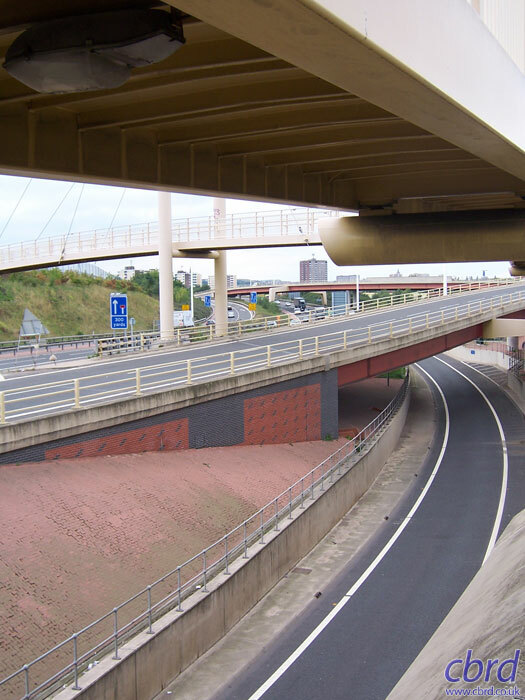 The M62-bound viaduct runs at a high level for quite some time, and when it lands again, forms the mainline of the M621. The westbound mainline becomes a sliproad merging in from the left. 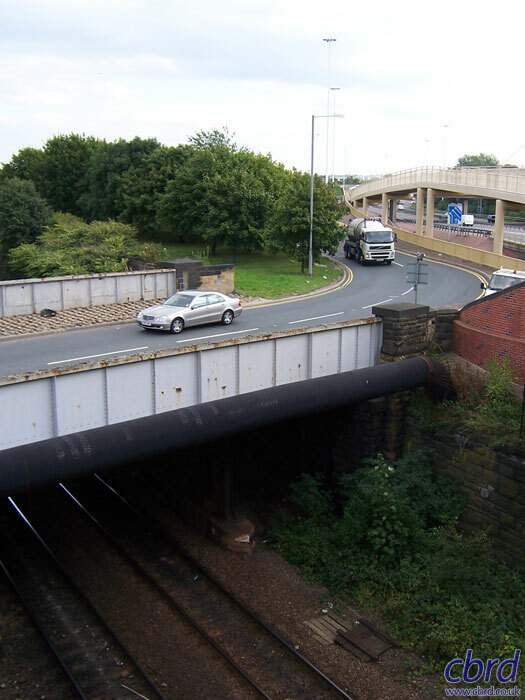 The railway between Leeds and Pontefract passes beneath the interchange. Across it, signs are visible on the westbound M621 showing the lane drop in advance of the merge with traffic leaving Leeds on the viaduct. 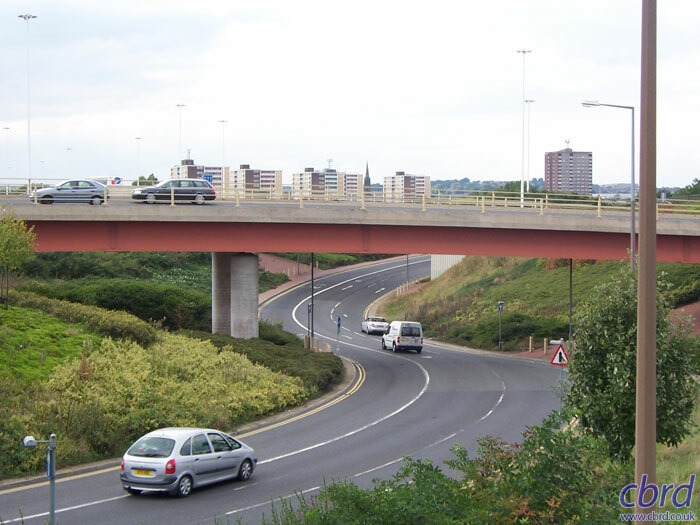 Traffic heading towards the M1 runs downhill on a shorter viaduct, seen here in the foreground. 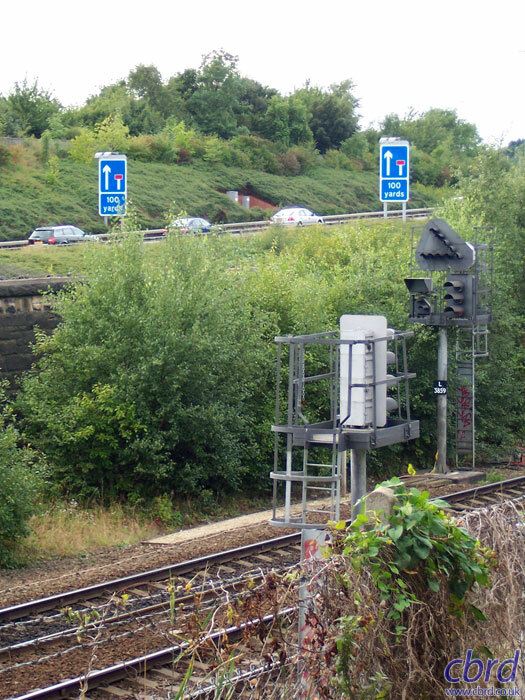 To the left, the M621 mainline (carrying only a fraction of traffic through the junction) runs past, and in the distance, the longer viaduct towards the M62 is visible. A little further out, traffic merges together bound for the M1. On the left, a single lane sliproad passes underneath the interchange, carrying eastbound traffic to junction 4. On the far right, westbound traffic exits for the city centre. Looking the other way, the westbound exit to the city centre is seen on the left. 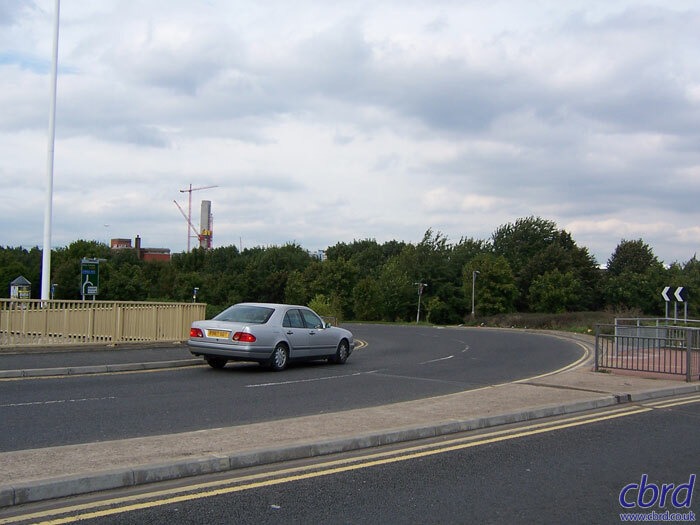 This tight one-lane loop is the main way to Leeds city centre from the M1, and for a time, the motorway ended here at a line of traffic cones. Traffic using the loop crosses the motorway on the overpass just behind the camera. In the distance the impressive footbridge dominates the view. After circling 270 degrees to cross the bridge, traffic turns a sharp left as it joins the original street network. This car is braking quite sharply to make the corner. At the bottom of a short hill, a flowerbed welcomes you to Leeds. 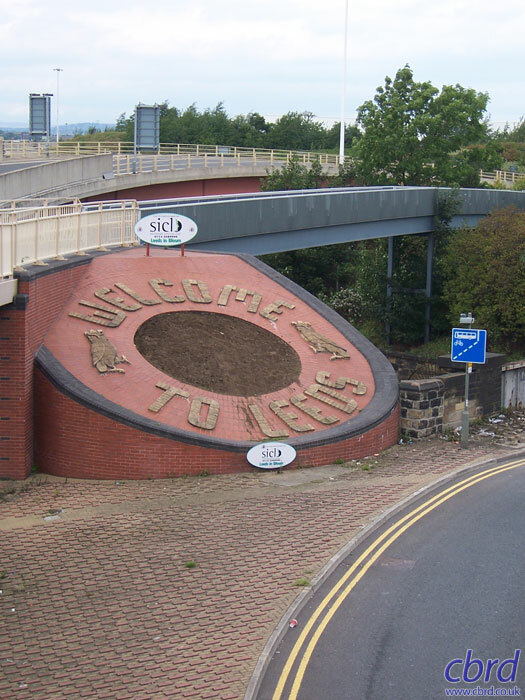 Many years ago this was a grassy bank with the words "welcome to Leeds" spelled out in flowers, but the new flyover just above it reduced the available space. With the flowerbed seen again on the far right, this right-hand corner is the next sharp turn on the route between the M1 and Leeds. 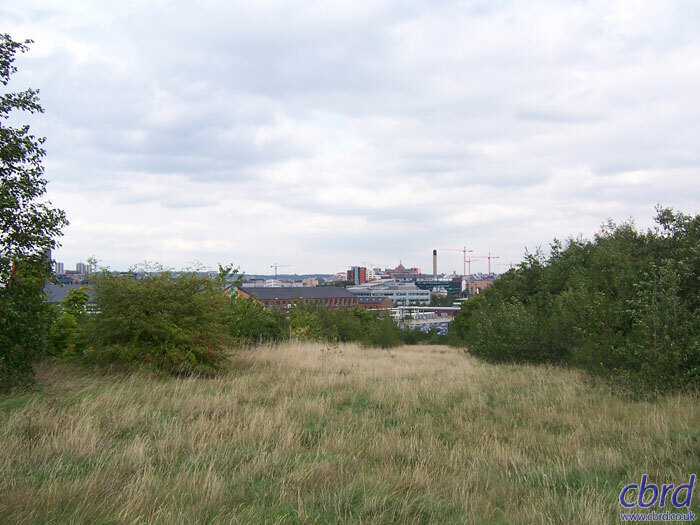 Had the original plans been completed there would have been a motorway route coming closer to the city. Traffic leaves the old street network after the railway bridge and uses this much newer route: it's part of the gyratory system and is best described as having a swooping alignment. It can be quite enjoyable to drive. 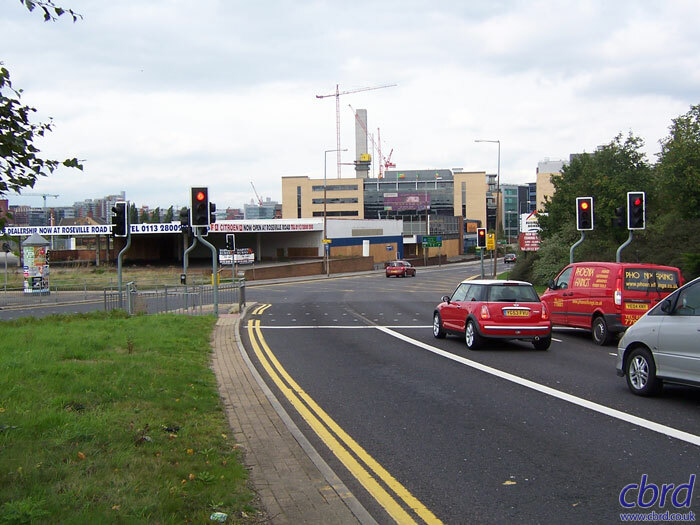 Meanwhile, traffic exiting the M621 eastbound (coming from the M62) has a simple left-hand exit which crosses the railway and comes to these traffic signals. Traffic coming around the swooping gyratory reaches the same junction from the right hand side. 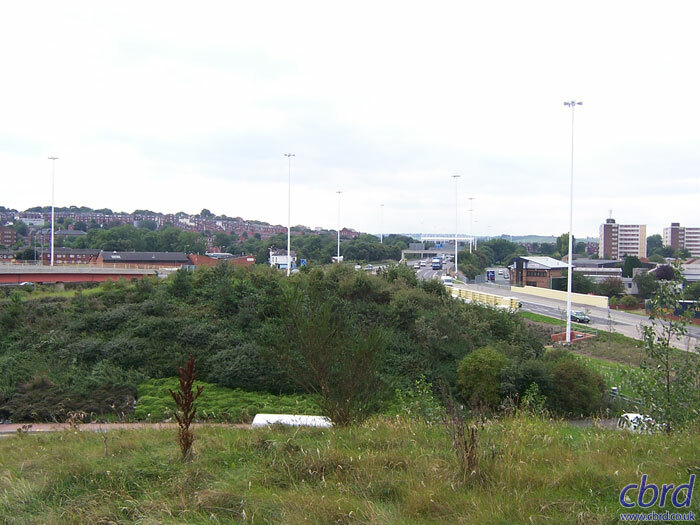 Ahead, the grassy bank is a man-made embankment designed to carry the North West Urban Motorway towards the city centre. Three lanes of traffic from the M621 westbound wait to proceed into the city. 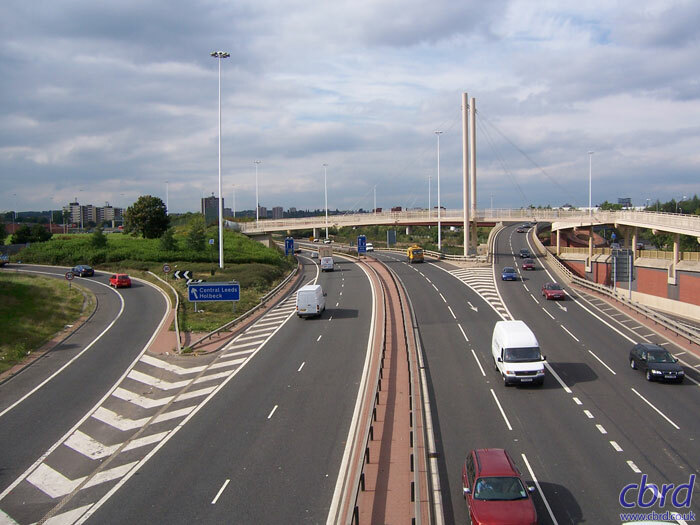 The carriageway from the left is where M621 eastbound traffic joins. 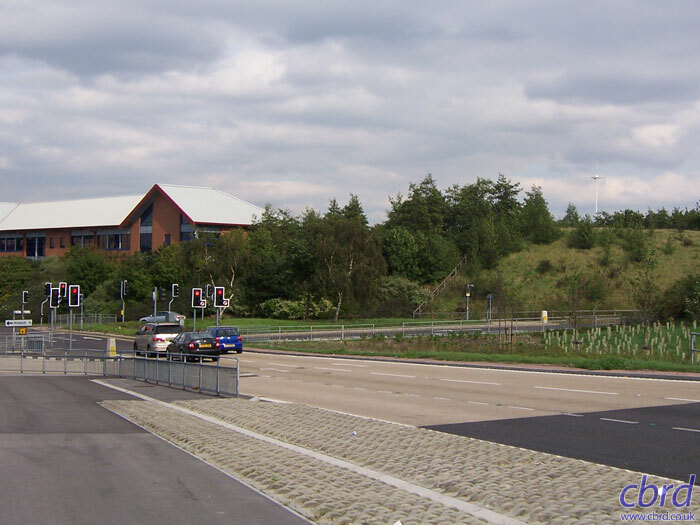 The never-used embankment in the middle of the gyratory system is surprisingly tall and gives a broad view of the motorway interchange that lies to the south. On the right the new railway bridge is visible carrying the exit from the M621 eastbound towards the city centre. Looking north-west, along what would have been the line of the northbound carriageway, there is a very clear gap in the trees. The North West Urban Motorway would have had a major interchange at Quarry Hill, and sure enough the gap is perfectly aligned with Quarry House, which is adjacent to the interchange site. This picture doesn't really fit into the flow of the rest of the gallery, but it's a good shot so it's included at the end. 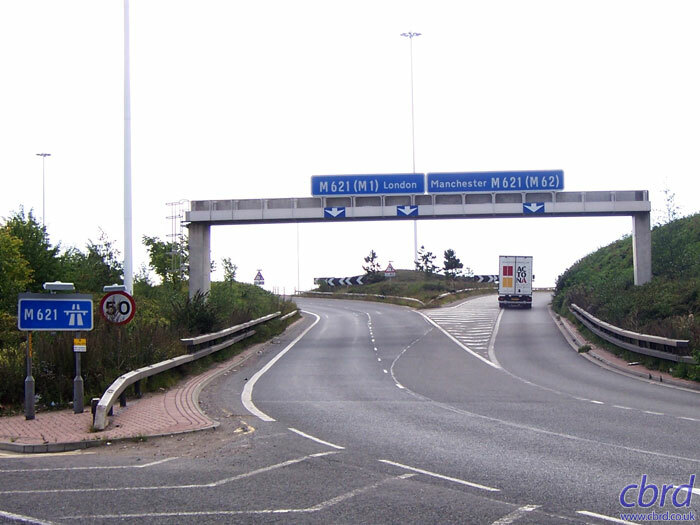 It shows the M621 eastbound exit sliproad to junction 4 passing under the rest of the junction. 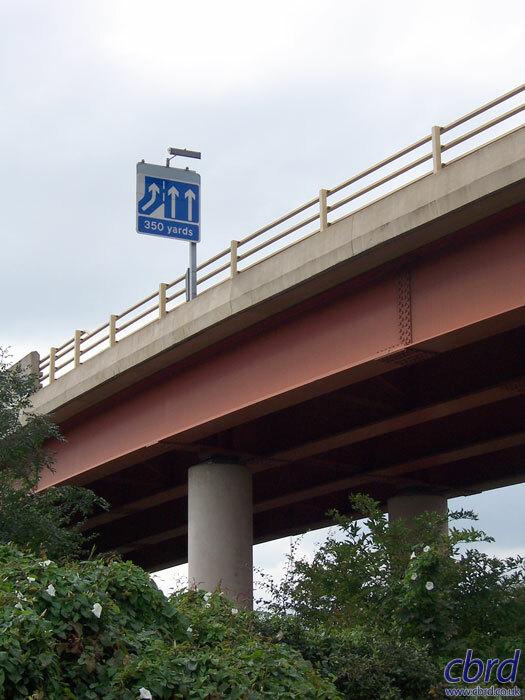 Immediately above is one of the pedestrian footbridges that criss-cross the junction.